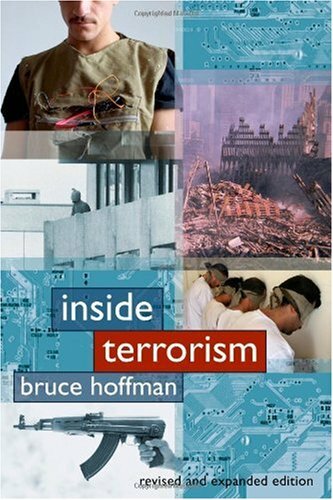 Bruce Hoffman'sInside Terrorism has remained a seminal work for understanding the historical evolution of terrorism and the terrorist mindset. In this revised edition of the classic text, Hoffman analyzes the new adversaries, motivations, and tactics of global terrorism that have emerged in recent years, focusing specifically on how al Qaeda has changed since 9/11; the reasons behind its resiliency, resonance, and longevity; and its successful use of the Internet and videotapes to build public support and gain new recruits. Hoffman broadens the discussion by evaluating the potential repercussions of the Iraqi insurgency, the use of suicide bombers, terrorist exploitation of new communications media, and the likelihood of a chemical, biological, radiological, or nuclear terrorist strike. Closer to home, Hoffman reconsiders the Timothy McVeigh case and the threats posed by American Christian white supremacists and abortion opponents as well as those posed by militant environmentalists and animal rights activists. He argues that the attacks on the World Trade Center fundamentally transformed the West's view of the terrorist threat. More relevant and necessary than ever,Inside Terrorism continues to be the definitive work on the history and future of global terrorism. The word "terrorism" first became popular during the FrenchRevolution, when the régime de la terreur was initiallyviewed as a positive political system that used fear to remindcitizens of the necessity of virtue. The use of violence to "educate"people about ideological issues has continued, but it has taken ondecidedly negative connotations--and has become predominantly, thoughnot exclusively, a tactic deployed by those who do not have the powers ofstate at their disposal. Hoffman does his best to not only define terrorism but provide timely information in an unbiased manner. This book is my textbook for my college Crime and Terrorism class. 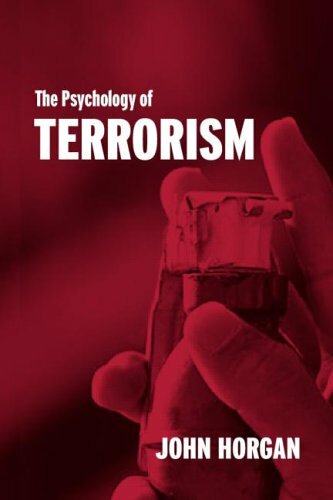 This has become an extremely useful tool and would recommend that it be read to better understand the psychology of terrorists and the concept of terrorism. Inside Terrorism is perhaps the only book on the subject that covered so much.Though has space to update is require reading for the topic. I purchased this book for school and it came in great condition for a great price. This is an excellent book for understanding a particular type of terrorism -- extreme violence by radical groups like Al Qaeda, the PLO, white supremacists, Basque separatists, and others in which the purpose of violent attacks is to gain media attention as a way to advance a political agenda. This book is well respected in the intelligence community as a guide for understanding the phenomenon of terrorism. Hoffman suggests terrorism is sometimes effective if the violence resonates with an aggrieved group, but he notes that the media effect is often mixed because most people are opposed to killing and destruction. And he makes a case that for most terrorist groups operate under a long term disadvantage. His thorough treatment covers a broad spectrum of groups while being fair and unbiased despite the pejorative term "terrorism". And he offers an intelligent exploration of this term itself. My problem with Mr. Hoffman's analysis, however, is that he sees terrorism as violent politically-motivated crime by extremists seeking publicity. His perspective is that of a competent government official trying to solve a military or police problem. But I think the problem of terrorism is larger, more dangerous, in the sense that government can BECOME the terrorist when it tries to prevent terrorism, and fails to do so (curfews, friskings, detentions, wiretaps, etc). Hoffman's book is an excellent guide for people who like the current arrangement and believe government is doing a good job in fighting its war on terrorism. It's an intelligent introduction to a complex subject for specialists. He deserves commendation for shedding light on one part of a complex problem. Sadly, I had to read several pages of text with lots of statistics and fascinating information that had no documentation before I found something that was loosely documented. There are no footnotes and the endnotes don't begin until chapter four! Then they jump to chapter six. I know, by other research, that Peter Hammond is probably giving accurate information, but I can't quote someone who doesn't document his claims consistently and thoroughly. Even when he tells the reader where he got his information, the author merely refers to a book that is listed in the very brief bibliography. That forces the conscientious reader to get the referenced book, do more research, and find out if the author's statement is reliable. What a shame he didn't take the time to carefully document with footnotes or exhaustive endnotes. How much more effective might this work have been. This book contains information that is not available in other sources.It is filled with logically ordered facts that can be used for serious investigations on contemporary Islam radical actions in many countries.Amazon and the publisher did an excellent job delivering this rare book to me in a timely fashion. This is the sort of book that all Americans should read, particularly those who believe Islam is a peaceful religion.It is peaceful in this country: when a group numbers in the 2-3% range, they are always peaceful.When percentages increase, through immigration, births, etc., they soon get enough power to be obnoxious as it is in Europe now. Once the percentages get into the nineties, you have Sharia Law and they obey the doctrine 'given' them by Allah to convert or kill. This isn't just Islam; this is human nature.It was that way when Catholics had the power over Protestants and vice versa.Tomas de Torquemada, First Grand Inquisitor of Spain, allegedly said, "When you are sure you are right, you have a moral duty to impose your will on anyone who disagrees with you. "When someone is doing something to you for your own good they can be much harsher.When they have the mandate of Allah, no holds barred. I am half way through the book and think it is well worth reading, as noted. I realize this is more commentary than review and won't obtain a wide readership since most of us like to bury our heads in the sand - or stick them elsewhere - rather than accept the undying enmity of our opponents. Still reading, but am learning lots. Been looking for a book to assist understanding what makes the Muslims we read about tick.Intend to do some discovery re accuracy, etc of book. 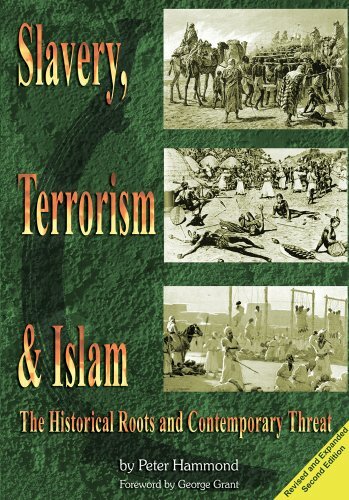 This is a review of the expanded second edition of SLAVERY, TERRORISM & ISLAM: THE HISTORICAL ROOTS AND CONTEMPORARY THREAT by Dr. Peter Hammond founder and director of Frontline Fellowship in Cape Town, South Africa. Rev. Hammond has done Christian outreach in such war torn areas as Sudan, Angola and Mozambique.This is the "front line" from which his views of Islam originate. And they are dark visions.Rev. Hammond details massacres, slavery, colonization and terrorism by Islam in many of those distant areas and the view he presents the reader is one we don't often see in the West. Islam isn't "the religion of peace" in Rev. Hammond's interesting book. It's a religion of war and world conquest. Hammond's views are controversial enough that the government of Sudan has declared officially through its Ministry of Foreign Affairs website that he "should expect to be shot on sight!" Rev. Hammond, however, does not treat Muslims the way they treat Christians. Instead, he writes of the many wonderful individual Muslims he's met and how it's his duty as a Christian to "share the Gospel" with them. Rev. Hammond doesn't exhort his fellow Christians to war. Instead, he exhorts us to knowledge of what Islam really involves. He makes a persuasive argument that Muhammad was a False Prophet who deceived his followers. He calls upon us as Christians to recognize the dangers which make up this False Prophet's legacy and to resist them peacefully through prayer and evangelical outreach to them. The dark legacy of Islam is based on ignorance and fear, he explains.It will fall to the Light of Truth. Rev. Hammond is a good writer in addition to being a fearless witness. His book is organized by topic for quick reference rather than presented as an integrated narrative. Book received 6 days after purchase in listed condition.Smooth and easy transaction.Thank you! This is the hardest read I have experienced. If it wasn't a required textbook, I wouldn't own it. It is more a reference book than a textbook anyway - it doesn't teach you anything, it just makes a statement, gives the reference for that statement, makes another statement, perhaps in conflict with the first, then gives the reference. And so on. All you end up with is mud and sand, no bricks and no buildings. Not even my instructor defends this book. We used this as our primary textbook in a National Security and Terrorism class. What a great book! Everyone should read this book!If you are interested in understanding the motivation behind terrorism (in all forms...)and working toward a solution, this is a must! Excellent text for the beginner ... easy to read &follow ... doesn't focus on just one group or country ... a well rounded book on a front page topic ... well worth your time. Good book bu if i would of know it was from Cal Berkley liberal capital i probably would of ordered another book instead. 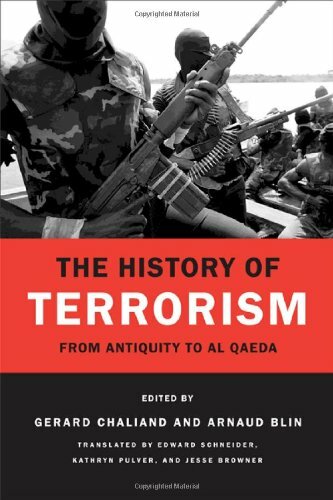 "The History of Terorism" From Antiquity To Al Qaeda" offers a clear-eyed, unsentimental and comprehensive look at terrorism.The editors, Gerard Chaliand and Arnaud Blin, are also the major contributors to a series of well-written essays that trace the historical roots and the modern usage of terrorism. The book is divided into three sections.The first deals with the prehistory of terrorism, especially by small, specialized groups such as the Zealots.The second section covers the period 1789 to 1968, as terrorism came into its own as a tool of radical political movements.The final section, slightly more than half the book, covers the recent uses of terrorism, especially by Islamic radicals including but not limited to al-Qaeda. The text appears to have been translated from French, which may be the cause of slightly wooden prose in some of the entries.More importantly, this history is not US-centric, which may be a refreshing change for some students in this field.The approach is generally from the theoretical underpinnings of the politics and/or religious motivations of groups practicing terrorism, to the results of their efforts. "A History of Terrorism" is very highly recommended for its comprehensive and unsentimental look at the topic. "The History of Terrorism" written by Chaliand and Blin, is a very interesting book.From the beginning, we're faced with the difficult question of what constitutes terrorism.I could probably tackle this issue with several books alone.Remember that old adage, "your terrorist is my freedom fighter".One of the primary objectives of any military engagement is to effectively reduce the will of the enemy to fight - often through terror or "shock and awe".Unfortunately, the GHWB commission's definition of terrorism is adopted, in which "sub-government" organizations terrorize.Clearly, as much is later written in this book about the terrorism brought against people by Nazi and Communist regimes, little is mentioned about American terrorism against the Native Americans or Slaves or Japanese in internment camps in the USA and populace of Japanese cities in the bombings in WW2.That's a significant weakness of the book.A disproportionate and perhaps overlooked level of detail is offered on the history of terrorism by the Israeli's in their Zionistic cause.The book tends to ramble often.The second half of the book was written in a much more informative manner, broken up with logical subsections, and, on the whole, seemed to be written in a much fairer style.It did not draw me in like so many other books usually do on the topic of terrorism.While this is far from just mediocre writing, it just never fully engaged me.I give this a grade of C+. Histroy of terrorism is a very useful and highly interesting book and readers would stand to gain a lot from reading it. I strongly recommend that this book be read widely in order for modern men to be armed with an appropriate knowledge about the most sensational phenomena of the new century. It is brain teasing and covers an wide array of patterns of terrorism. Author of 'Tracing the Eagle's Orbit: Illuminating Insights into Major US Foreign Policies Since Independence'. I like this text in that it sets historical and moral context for today's conflicts. Chaliand and Blin, the editors, lay out the text in chapters on eras and specific conflicts.The text is notable in that it delves into the evolution of the moral debates concerning the targeting of civilians in times of warfare.Few today realize that much of today's terrorism evolved from the guerilla warfare in Occupied Europe of WWII, and the partisan civil conflicts that often followed after Nazi Germany was defeated.The editors draw these connections well, while maintaining a balanced academic-style approach.It is indeed difficult to discuss this field of study without taking sides or pontificating on the morality of "who is a legitimate target. "Chailiand and Blin walk this line well. this book covers the material well, incorporating the past with the present, all in a way that makes it easy to understand.the material is covered in depth without drowning the reader with unnecessary information. I'm not saying it's a bad resource. It has a tons of information. However, the manner in which these facts are presented seems like a cluster of different ideas, making it the hardest terrorism book I have ever read. Brings up good points about various weaknesses and problems in preventing future attacks. Many of the included essays are redundant because the authors bring up parallel points making the book dry, especially after the first two or three chapters. This volume of essays was written and compiled as a college textbook for upper level undergraduate and graduate level seminars on terrorism and counterterrorism. These essays were written on both sides of the 9/11 divide, as such some of them predicted the occurrence of (large scale)acts of terror on American soil while others prescribe strategies for countering the terrorist threat in the future. Readers other than college students will find the book of interest too. After all, members of the general public, not simply college students, have asked such questions as "Why does America inspire such hatred?" or "What strategies should the US employ in the war against terror?" This book addresses these, and numerous other questions. Although written by a variety of authors, the volume is well edited. Any work dealing with the US government and the bureaucratic responses to terrorism could easily be overwhelmed by a host of acronyms offputting to the general reader. The editors avoid this problem by consistent definition of acronyms and generous appendices covering foreign terrorist organizations, significant terrorist incidents, and weapons of mass destruction. "al-Husseini's tireless and single-mindedly fanatical career contributed greatly to a regressive trend in the Arab and Islamic world.Progressive forward-thinking Arabs, who sought freedom-oriented societies, were toppled from positions of influence, driven out of public life or into exile, or in many cases murdered by the thuggish and radical philosophical followers of al-Husseini.His inheritance is a form of Islamo-Fascism that continues to matastasize across the Islamic world and the threat that this malevolent movement poses to the non-muslim world will continue to grow as long as it remains unchallenged." Hmm.I happened to read the appendices first before I read the book and I was most struck by the juxtaposition of Appendix C and D.Appendix C is the "Weizmann-Faisal Agreement', Appendix D the "Peel Commision".Nowhere else is the contrast between the Hashemite Royal, Faisal I, a direct descendant of Mohammed and the nazi-loving, Mufti of Jerusalem, al-Husseini, most stark.PLEASE READ. Chuck Morse had run against Barney Frank, of Fannie/Freddie Mac fame, some years back.I wish he had won. In 1919, the international community saw the Faisal-Weizmann Agreement, an agreement between the King of Iraq (Faisal) and the eventual president of the World Zionist Organization (Weizmann) that set reasonable conditions for mutual recognition of a Jewish homeland in Palestine and an adjacent Arab Nation. Today, a large number of Middle Eastern nations refuse to recognize Israel's right to exist. Ever wonder what happened? This book offers a significant piece of the puzzle. This book focuses on the Grand Mufti of Palestine, Haj Amin Al-Husseini, and his influence in funneling anti-semitic, Nazi propaganda into the Middle East. 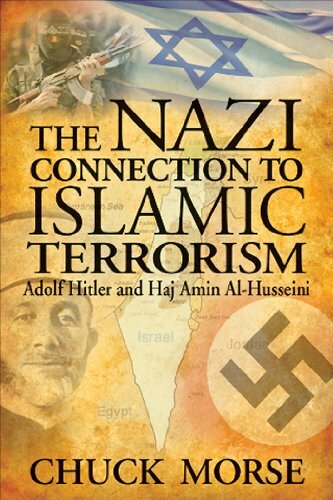 From reading this book, you will learn about Al-Husseini's frequent meetings with the Nazis, including Adolf Hitler, Al-Husseini's push for extermination of the Jews and his responsibility for disseminating volumes of ludicrous Zionist conspiracy theories into the Middle East. You will also learn about Al-Husseini's significant influence on Yasser Arafat and former Egyptian President Gamal Abdel Nasser. The appendix of this book also contains a number of historical documents, including meeting transcripts, letters of correspondence and other relevant documents such as the Faisal-Weizmann Agreement and the Balfour Declaration. I have a few complaints about this book. First, it is too short. Second, there are many egregious spelling errors, which is very unprofessional. Most importantly, although I think Morse has made a compelling case to argue al-Husseini's influence on the modern anti-Israel facet of Islamic terrorism, I think he overlooks the most significant driving force behind Islamic terrorism: religious fundamentalism. Unfortunately, this is a common oversight of many religious conservatives, who often seem too overzealous in identifying secular roots for acts of terrorism. Overall, this book is an important chapter in the ideological origins of Islamic Terrorism. Author would do better if he was not so repetitive.Still it is worth reading as one realizes that Islamic Terrorism is not a new thing starting in recent years, but has deep historical antecedents. This is an important book for many reasons, especially for providing one especially significant and important aspect concerning the origin of the Arab-Israeli conflict. The author's thesis is that Al-Husseini, the Mufti of Jerusalem, successfully merged his Islamic fundamentalism with the theology of Hitler's National Socialism. He supported the final solution in Europe, rallied Muslim troops to support and perpetuate the final solution, planned to import the Holocaust to the Middle East, and influenced future Arab generations. As a historian, the author pulls together many esoteric events (such as the Weizmann-Faisal peace agreement)that may surprise those who thought they knew the history pretty well. Morse illustrates how one individual can spread enmity and hate for thousands across generations.Recommended for those who want to gain more insight. Very relevant today. Amazing information. The Holocaust denial that is emerging in some parts of the West is a clear sign(as referred to in page 100) of more trouble on the horizon. Nuclear terrorism is such a disturbing prospect that we shy away from its details. Yet as a consequence, we fail to understand how best to defeat it. 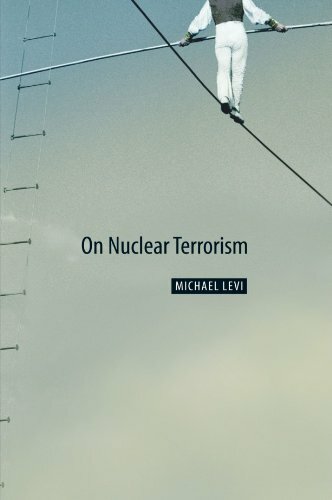 Michael Levi takes us inside nuclear terrorism and behind the decisions a terrorist leader would be faced with in pursuing a nuclear plot. Along the way, Levi identifies the many obstacles, large and small, that such a terrorist scheme might encounter, allowing him to discover a host of ways that any plan might be foiled. Surveying the broad universe of plots and defenses, this accessible account shows how a wide-ranging defense that integrates the tools of weapon and materials security, law enforcement, intelligence, border controls, diplomacy, and the military can multiply, intensify, and compound the possibility that nuclear terrorists will fail. Levi draws from our long experience with terrorism and cautions us not to focus solely on the most harrowing yet most improbable threats. Nuclear terrorism shares much in common with other terrorist threats--and as a result, he argues, defeating it is impossible unless we put our entire counterterrorism and homeland security house in order. As long as we live in a nuclear age, no defense can completely eliminate nuclear terrorism. But this book reminds us that the right strategy can minimize the risks and shows us how to do it. The author discredits himself in the very first pages by relating a network news 'sting' operation whereby depleted uranium bypassed the portal monitors in several countries undiscovered.This is not surprising, fissile material portal monitors aren't designed to pick up the gamma rays from depleted uranium, they aren't that strong, unlike gamma signatures of enriched uranium, which have a pronounced peak at the 186 kilo-electron volt range.So, what was the point? Also, the author only discusses nuclear terrorism in the context of a subnational group obtaining a nuclear warhead.That is not very plausible, but a Tom Clancy fantasy which in fact Clancy used as the plot in one of his books. Really the nuclear terrorism threat comes from a subnational group sabotaging a nuclear power reactor in their enemy's country, and/or sabotaging the spent fuel storage area, and/or sabotaging a spent fuel reprocessing plant. And while the author may be highly knowledgable of the academic aspects of nuclear terrorism, there is much better info on-line (check out the General Accounting Office doing a topic search for 'nuclear' and Project on Govt. Oversight doing a word search for 'design basis threat'). The author takes a very systematic approach to the analysis of the task of obtaining and delivering a nuclear weapon and then looks at the vulnerabilities of the process which are the opportunities of the defender. Sadly too much of what makes the press on the subject amounts to a keyhole view of a single element of the offensive or defensive process. In contrast, the book looks at the complexity of the process and the impact on the overall opportunity for success of a "layered" defense. The conclusion is that it is not a single impenetrable layer that offers the opportunity for reducing the threat but rather multiple layers. What we fail to grasp on terrorist issues we intuitively understand every fall weekend as we watch football. When it comes down to the end of the game and time for one or two plays the defense has multiple opportunities to reduce the overall probability of of offensive success. A coach would be foolish to rush 11 players or have 11 players deep while giving the quarterback the flexibility to select the time and place of attack. Instead the defenders balance the defense to defend at multiple points as a strategy which reduces the overall probability ofoffensive success. Like American football success in combating doomsday terrorist threats comes from not only multiple levels but also from surprise, communication, deception and hard work. In defending against nuclear terrorism multiple, independently managed efforts from threat analysis to intelligence to field intervention to defending the attempted delivery can reduce the probability of success to a level that makes the effort "non profitable" from the terrorist standpoint. Terrorists understand that detection of a seriously developed nuclear attack effort will change the rules of the game, forever. A high probability of success is needed to make the effort worth the risks to the cause ( assuming for the moment that the top leadership is willing to die as a consequence of the effort) . This is in stark contrast to the dispatch of suicide bombers who do not generate the massive change in the rules of the game. Overall the book is excellent for both its content and its impact on changing the way most of us think about defending against the unthinkable. Highly recommended . This book sets forth what a finite band of non-supermen would have to do to mount an attack of nuclear terrorism. From this, it derives a systematic approach to making such an effort more difficult. The bottom line is that we can't make such an attack impossible, but most likely we can make it hard enough that they will try something else. After all, they have trade-offs, too. For example, the more skills they assemble, the harder it is to keep the operation secret. Not the final word, but a first class beginning, and a major contribution to the debate over the level of effort that should be expended to ward off a nuclear attack as opposed to other forms of terrorism. I bought this book after hearing the author on the radio. His perspective on nuclear terrorism is unexpected: we normally think that the terrorists must only succeed once, while security services must be effective every time. But while that may be true in the broadest sense, the author points out that the terrorists have to succeed at every stage of the incredibly difficult process, while the police only need to catch them once. It's hard for terrorists to be good at everything they need to do: though they may procure bomb-making materials, they may not be very good at planting bombs (e.g. - the doctors who attempted to blow up Glasgow Airport, but left their car bombs parked in a no-parking zone.) On the other hand, it's possible for the police to be effective at every level, from monitoring so-called "loose nukes" to detecting radiation in ports to tracking suspicious movements in cities. Amid the fear following 9/11 and other recent terror attacks, it is easy to forget the most important fact about terrorist campaigns: they always come to an end--and often far more quickly than expected. Contrary to what many assume, when it comes to dealing with terrorism it may be more important to understand how it ends than how it begins. Only by understanding the common ways in which terrorist movements have died out or been eradicated in the past can we hope to figure out how to speed the decline of today's terrorist groups, while avoiding unnecessary fears and costly overreactions. 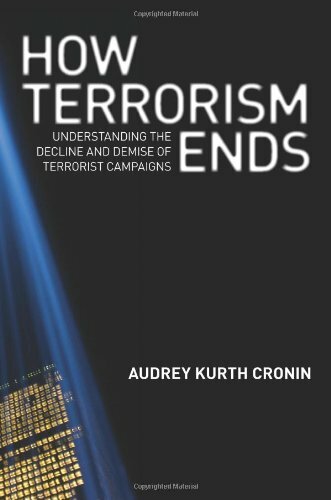 In How Terrorism Ends, Audrey Kurth Cronin examines how terrorist campaigns have met their demise over the past two centuries, and applies these enduring lessons to outline a new strategy against al-Qaeda. This book answers questions such as: How long do terrorist campaigns last? When does targeting the leadership finish a group? When do negotiations lead to the end? Under what conditions do groups transition to other forms of violence, such as insurgency or civil war? How and when do they succeed or fail, and then disappear? Examining a wide range of historical examples--including the anti-tsarist Narodnaya Volya, the Provisional IRA, Peru's Shining Path, Japan's Aum Shinrikyo, and various Palestinian groups--Cronin identifies the ways in which almost all terrorist groups die out, including decapitation (catching or killing the leader), negotiation, repression, and implosion. How Terrorism Ends is the only comprehensive book on its subject and a rarity among all the books on terrorism--at once practical, optimistic, rigorous, and historical. How Terrorism ends by Audrey Kurth Cronin in a well written and well researched book that lays out the intellectual framework and the crucial points leading to the demise of various terrorists organizations.Cronin's work is extremely relevant in the world today as it attempts to illustrate how terrorist organizations end and thus how nations may develop strategies and goals that leads to the demise of the terrorists' organization.One of the major findings that Cronin points out is that less than 5% of all terrorists' campaigns succeed.Killing civilians does not seem to be a promising means to achieve political aims. Cronin points out six historical ways in which terrorist organizations end: the capture or killing the group's leader, entry of the group into a legitimate political process, achievement of the groups aims, implosion or loss of the groups public support, defeat and elimination by brute force and transition from terrorism to other forms of violence.A chapter of the book is dedicated to each of these findings and is thoroughly detailed through the use of empirical data, case studies, and various graphs to illustrate the author's points. Some of the findings in the book are quite interesting for example: most terrorist organizations last less than 8 years; killing a terrorists leader may not damage the group as much as arresting him, especially if he is humiliated before the public and sentenced to prison; states negotiate with terrorists because they want the conflict to end, whereas the terrorist organization may not want the same; and finally, terrorists often fail because the violence they perpetrate on the civilian populace they are trying to win over ends up provoking popular revulsion versus popular support.The use of the case studies to point out the strengths and limitations of each of the six ways in which terrorist organizations end clearly and succinctly points out the veracity of the authors points. The most interesting portion of the book is chapter 7, titled How Al-Qaeda Ends.Cronin points out up front that Al-Qaeda will end without achieving its strategic goals, but along the way she clearly points out how Al-Qaeda is different than most other terrorist organizations.The chapter clearly demonstrates the strengths of Al-Qaeda, it's resilience, methods of recruitment, means of support and communications.What is interesting though is Cronin then demonstrates how Al-Qaeda may end using the six historical ways described earlier in the book.Cronin does not conceive how Al-Qaeda could fully realize their strategic aims because ultimately Al-Qaeda's aims are not clearly articulated and are too broad in context to be achievable. How Terrorism Ends is a very comprehensive, historical and academically rigorous look at terrorism.Terror campaigns may seem endless, but as Cronin has so accurately depicted, terror campaigns always end and usually not in the favor of the terrorists organization.I highly recommend this book to anyone with an interest in understanding terrorist's organizations and the political and military means to defeat terrorist's organizations. My one reservation about this book, lacking a sufficiency of Inside the Book information, is that it appears to assume that if one just does the "right things" such as kill leaders, terrorism will eventually die out.Robert Arkoff would turn in his grave over this thought.Terrorism is a tactic, a manifestation of discontent so grave as to indict the state as a failed state in relation to the needs of the segment adopting terrorism.Hence, this book may be more about doing the wrong things righter instead of doing the right things: assuring every group a prosperous world at peace. Corruption, not terrorism, is in my view the primary curse of all governments and the global network of interests that seek to optimize wealth for the few at the expense of the many.Terrorism, in my view, is a logical in extremis response, a demand to be taken seriously that governments continue to treat at face value (violent crime) rather than as a root value being expressed (seriously angry people with brains and willpower). As in previous editions, Understanding Terrorism, Third Edition offers a multi-disciplinary, comprehensive exploration of contemporary terrorism that helps readers develop the knowledge and skills they need to critically assess terrorism in general and terrorist incidents in particular. 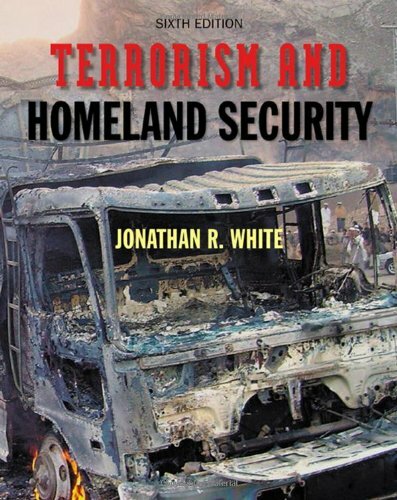 The Third Edition offers new, updated theories and cases, covers homeland security in the opening chapter and throughout the book, offers a consolidated discussion of ideological terrorism, and offers new photographs, updated tables, enhanced graphics and a new two-color design. I got this book for a college course.A good collection of articles on terrorism related stuff. This book is the exact one that my school, Colorado Technical University, is using and I bought it on here for about a 1/3 of the price the school wanted.I truly suggest looking for your school books on Amazon.com! 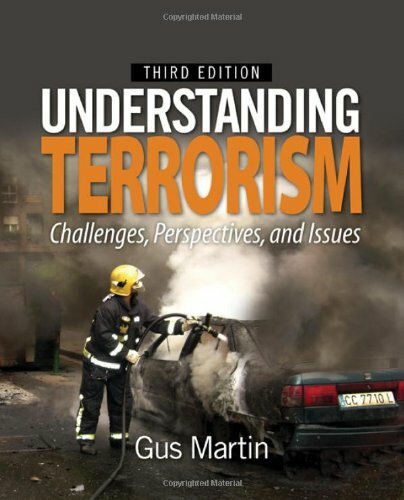 "Understanding Terrorism: Challenges, Perspectives, and Issues," Second Edition, by C. Augustus "Gus" Martin, over 14 Chapters, addresses terrorism from multiple perspectives: the political right and left, state and non-state, religious and secular, criminal and non-criminal.Each chapter is supported by end notes and the book contains an appendix for maps, one for historical examples,and a glossary/index.There is no bibliography. (1)	"One such misunderstanding is the common belief that the concept of "holy war" is an underlying principle of the Islamic Faith. Another misunderstanding is that Muslims are united in supporting jihad.This is simplistic and fundamentally incorrect.Although the term "jihad" is widely presumed in the West to refer exclusively to waging war against nonbelievers, an Islamic jihad is not the equivalent to a Christian Crusade" p. 187. (2)	"It is permissible - and even a duty - to wage war to defend the faith against aggressors.Under this type of jihad warfare is conceptually defensive in nature; in contrastthe Christian Crusades were conceptually offensive in nature" p. 188. "Holy war" is not an underlying principle of Islam, but as a strategic theme within Islam, "jihad" is. Within the Koran, the Haddiths, and the Sunna, less than ten percent of the discussion is on the greater jihad (personal striving)while the remaining 90 percent is on the lesser jihad (warfighting).Martin fails to identify or discuss the combat, combat support and combat service support obligations of jihad contained in Islamic Law (the Koran, the Haddiths, and the Sunna)and clarified in Islamic legal textssuch as "Reliance of the Traveller: A Classic Manual of Islamic Sacred Law"p. 599-605,"The Distinguished Jurist's Primer" (Vol 1 and 2) p. 454-487, and "Riyad-us-Saliheen"p. 976-1016. Martin states that jihad is defensive while the Crusades were offensive.A reading of the above legal texts gives insight to the term "defensive." In war, unbelievers are offered three alternatives: Conversion, subjugation and payment of the jizya, or war.A refusal to submit is an offensive act and the resulting combat is,from the Islamic perspective, defensive. Martin fails to inform the reader of this key distinction and its implications. With regard to the Crusades, Martin fails to tell the reader that the First Crusade was a delayed response to Islamic expansion and the capture by Islam of 1/3 of the Christian lands.Islam's strategic offense triggered Christianity's strategic defense: the First Crusade. Martin states that "The Five Pillars are faith, prayer, zakat (alms or charity), fasting during the month of Ramadan, and the hajj (pilgrimage) to the holy city of Mecca, Saudi Arabia, for those who are able" p. 202.A check of the index fails to reveal a more substantive discussion on zakat that should have told the reader that there are eight categories of disbursement in zakat, three of which support jihad: Those fighting in the way of Allah; those whose hearts are to be reconciled, and travelers needing money.Of these three obligatory categories of disbursement,the most significant is "Those Fighting For Allah" which is defined by "Reliance of the Traveller", p.272, as "Those engaged in Islamic military operations for whom no salary has been allotted in the army roster; Given enough to suffice them for the operation even if affluent of: weapons, mounts, clothing, expenses, and for the duration of the journey, round trip, and the time they spend there. Current interpretation and practice has been to provide expenses in supporting such person's family during this period. "Martin fails to explain to the reader that zakat (almsgiving in Islam) is an asymmetrical warfare funding mechanism. The failure to more fully develop the discussion on jihad outlining the combat, combat support and combat service support obligations Islamic Law imposes on Muslims, the failure to carefully characterize and define the term "defensive" in the context of "defensive jihad",the failure to articulate the offensive expansion triggering the First Crusade, and the failure to fully explain the true nature of zakat (almsgiving)seriously undermine the value of "Understanding Terrorism" as a credible reference. This book is a terrific intro to terrorism and its history, but more than that it really depends on what you hope to achieve by reading this book.If this book has been assigned by a professor, you are on your way to a fundamental understanding of terrorism and its consequences, root causes, etc.If you are reading this book for leisure, with no lecture/seminar accompanying it, then it is a good read but not as worthwhile.I would recommend books by the pre-eminent scholars of terrorism like Bruce Hoffman, and his mentor Walter Lacquer. The second updated edition of UNDERSTANDING TERRORISM: CHALLENGES, PERSPECTIVES, AND ISSUES is an excellent purchase for both college-level reference holdings and for assigned reading for college-level courses on social issues. Added here is a new chapter on religious terrorism, reviews of new material on gender terrorism and criminal businesses, updates on pedagogy, and a format which includes test questions, amps from the book, and more on both a CD-ROM and an accompanying web site. Plenty of examples from events around the world pepper surveys which cover the politics, economics, and social foundations of international terrorist experiences. Almost every week, suicide bombers attack. We know the danger—suicide attacks kill more people than all other forms of terrorism—and in response we have sacrificed the lives of soldiers and civilians, trillions of dollars, and America’s reputation abroad in a futile quest for absolute security. But do we really understand what drives people to deliberately kill themselves on a mission to harm the innocent? 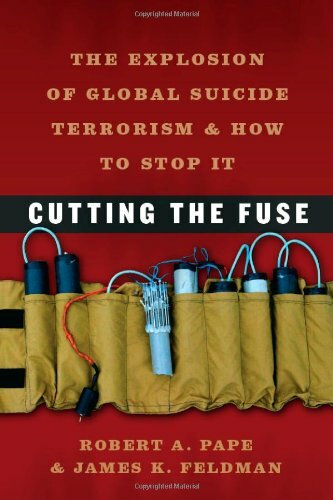 Cutting the Fuse offers a wealth of new knowledge about the origins of suicide terrorism and strategies to stop it. Robert A. Pape and James K. Feldman have examined every suicide terrorist attack worldwide from 1980 to 2009. Their work fundamentally changes how we understand the root causes of the most important terrorist campaigns today and reveals why the War on Terror has been ultimately counterproductive. Since 2004, the number of suicide attacks—whether within a country or transnational—has grown with shocking speed. Through a close analysis of suicide campaigns by Al Qaeda and other terrorist organizations in Iraq, Afghanistan, Pakistan, Lebanon, Israel, Chechnya, and Sri Lanka, the authors provide powerful new evidence that, contrary to popular and dangerously mistaken belief, only a tiny minority of these attacks are motivated solely by religion. Instead, the root cause is foreign military occupation, which triggers secular and religious people alike to carry out suicide attacks. Cutting the Fuse calls for new, effective solutions that America and its allies can sustain for decades, relying less on ground troops in Muslim countries and more on off-shore, over-the-horizon military forces along with political and economic strategies to empower local communities to stop terrorists in their midst. There is an axiom in academe: Most things that can be measured aren't especially interesting, while the really interesting issues can't be measured (because they are a product of complex systems). So I don't have a dog in the fight over Pape's statistical methodology. "When asked about the American civil war, Foote resorted to an anecdote. Early in the conflict, he used to say, a squad of Union soldiers closed in on a ragged Johnny Reb. Figuring that he did not own slaves, nor had much interest in the constitutional question of secession, they asked him: "What are you fighting for, anyhow?" The Confederate replied: "I'm fighting because you're down here." Foote regarded that as "a pretty satisfactory answer". In the process, Americans have been convinced that a people in a remote desert country actually present a national security threat to the Nation. This, even taken at face value, is an absurd proposition. Having your undergrads write chapters which you then put your name is problematic to say the least. The book is blind to the fact that much of what Pape has said about occupation cannot explain the increasingly sectarian violence in which more suicide terror is aimed at Muslim by other Muslims than against foreign occupiers. The chapters are uneven (in part reflecting the different students who did the writing). There is nothing new in this book that has not already been discredited previously both in terms of content and methodologically on the pages of the APSR. I am amazed that how much time and energy is put into this research based fascinating book which proveswhich already has been said by knowledgeable and wellinformed Americans that we are producing lots more Suicide. Bombers byattacking and fighting those wars which has made us less safe and has killed thousands of innocent people across the board including Americans. As a retired combat arms NCO with significant experience in counter insurgency warfare I can tell you that the author hits the nail right on the head. He provides the very clearly stated facts and statistics that prove something already well known to Special Ops types and other snake eaters. And that is that our brain dead foreign and military policy is creating far more terrorists than we are killing. That is indisputable. Iraq, for example, was a mortal enemy to Al Queda before Desert Storm II. It also acted as a buffer to Iran. Thanks to Bush's bumbling efforts Al Queda now has free reign in Iraq and that country has been essentially handed over to Iran. Now this is something that the neocons, chickenhawks all, refuse to admit. Thats why you see the hate speech you see here, undoubtedlyfrom living room commandoes eager to send your kids to die. They also have apparently never read a history book and feel that we can turn Afghanistan, The Eater of Empires, into a 51st state. What complete idiocy. For every local, terrorist or not, killed by US forces or a drone, you can bet 10 more are created. Keep in mind that history teaches us that tyrants NEED other tyrants. How else can the profits keep rolling in for the war machine? The author was recently briefly interviewed on Fox News. I say briefly cause as soon as the author made his key point which is anathema to the voice of the Israeli lobby that is Fox News he was quickly cut off. The auhor is 100% correct. University of Chicago political scientist Robert Pape, whose research finds religious extremism has a limited role in suicide bombings, is working secretly with a suspected Hamas front to pump up sales of his new book, the Investigative Project on Terrorism has learned. That includes a secret agreement by CAIR to have its chapters around the country to buy them in bulk so they can manipulate the sales to move up the bestseller ranks. Pape is also scheduled to appear at this weekend's national banquet for the Council on American-Islamic Relations (CAIR). "we can resolve whether there continues to be a connection between CAIR or its executives and HAMAS." We are in the midst of a war. This is like plugging Mein Kampf and other Nazi propaganda during WW II. Jerrod Post's "The Mind of the Terrorist" provided an illuminating look into the mind of the leaders of several terrorist organizations...several of which including Shining Path, The Red Brigades, and The Red Army Faction I was previously unaware of. Although no terrorist can be perfectly painted into a box, Post is able to create some common themes : Most terrorists had experienced some sort of severe shaping childhood loss, many of them have grown up in minority groups within states that are treated unjustly by the ruling majority group such as the LTTE and The IRA. This perceived injustice provides a fertile ground for recruitment among the native marginalized populations. Many groups have risen up 1. as a rejection of their parents generation, 2. As a social revolutionary organization to dethrone the Western Capitalist order of things, 3. To address generations of injustice or 4. Because God or some other religious doctrine has told them to kill x group for y reason. The typical terrorist leader also has a sizeable ego and may rely on charismatic factors or propaganda or sheer brute force to gain recruits to the cause. The second part of the book switches from the leaders of terrorist organizations to those who join terrorist organizations. Paying particular attention to Islamist terrorists, Post draws a picture of a world full of weak governments with little hope for employment or a future for their young populations. In this environment with unchecked avenues for the dissemination of Islamic radical propaganda, terrorists have a ready supply of young people who easily fall prey to these religious ideas of hatred for another because they don't have anything else to believe in.Post gives a stirring picture of both several terrorist leaders and the profile of the type of people they seek to recruit to their cause in an accessible 257 page format. This book is woefully mistitled: it is not at all an exploration of the "mind of the terrorist," but rather contains much more information about the histories and organizational structures of various terrorist groups.Even this information is provided in a loose, high-school book report style and does not contain significantly more than what can be found in an internet search.The most valuable part of the book ought to have been the supposedly extensive interviews conducted by Mr. Post with the members of the terrorist organizations themselves, but these are only sparsely dispersed throughout the book and almost always insignificant or unhelpful.To give an example, in Mr. Post's profile of the Liberation Tigers of Tamil Eelam considerable space is devoted to the life of its charismatic leader Vellupillai Prabhakaran.However, this contains only a basic description of his childhood, personality, and rise to power.The rest of the section briefly describes some of the acts the LTTE has perpetrated under his leadership as well as its gradual acceptance of suicide terrorism.What particularly stands out is how little we are actually invited into the minds of any of the members or leaders of this organization.There is not a single excerpt from an interview conducted by Post or by anyone else that runs to any considerable length or that serves to illuminate the life or the experience of the terrorist themselves.In other words, there seems to be very little about the minds of terrorists in this book that is for some reason entitled The Mind of the Terrorist.In addition to this, there are numerous spelling and punctuation errors which contribute even further to the book's overall impression of superficial haste.To charge $22 for such a poor piece of scholarship is a crime. Although largely well written, the book mostly focuses on the history of various terror groups rather than a deeper review of their psychopathology.Mostly the psychological aspects are referred to in recurring themes. The reason for a rating of two, however, is the asinine notion that since Moses, according to the Book of Exodus, was the deliverer of the Jews from Egypt and that the plagues supposedly orchestrated by him make Moses the first bioterrorist. Sorry, but that is just a bit much. Furthermore in the tactics old and new section the author confuses biowarfare with bioterrorism. Lastly, in the main text the author could do more to emphasise the scope of strategic intent of the various terror groups more clearly.Thus the author could more effectively show the national ambitions of some groups and the global megalomania of others. "Understanding Terror Networks"by Marc Sageman, although dryer, is a far more effective expenditure of time and money. Bought this for class, it was a great book, which broke down many terrorist organizations!! Paperback edition includes a new introductory essay on counterterrorism since 9/11. The United States government-backed by the overwhelming support of the American public-takes a hard line against international terrorism. The tenets of official U.S. counterterrorist policy are: make no concessions or deals with terrorists; bring them to justice for their crimes; isolate and apply pressure on states that sponsor terrorism; and bolster the counterterrorist capabilities of countries willing to work with the United States. While these tenets are sound principles, their application, specifically overseas, raises difficult questions. Does the "no deal" policy actually deter terrorists acts? Are there cases where agreements might reduce terrorism, while advancing other U.S. interests? Do isolation and pressure really force offending states to alter their support for terrorists? What factors affect the willingness, not just the capability, of foreign governments to help the United States in counterterrorism? I read this book for several reasons - I am interested in the subject, have seen the author on numerous news programs, read his interviews, and as a part of my graduate studies.Pillar presents his points in an easily understandable manner and makes a lot of sense - he is also an expert in terrorism studies and U.S. foreign policy. This is a must for anyone interested in how to fight terrorism. Pillar's importance has come to light to "the mainstream" of American thought after his piece titled "War, Policy, and the War in Iraq" came out in Foreign Affairs critizing the current war. Pillar, however, has had a long established career in foreign policy work. The book is not an "easy read" and is quite technical, but it is an essential read if you want to know what our country's top analysts think is the best way to deal with "terrorism". Furthermore, his insight into Bin Laden and his Al-Queda organization is very interesting as this book which was written before 9/11. Measured perhaps is the word that best describes this book. Paul Pillar has clearly attempted to present the issues of terrorism in a dispassionate and reasoned manner. For the most part he has succeeded. 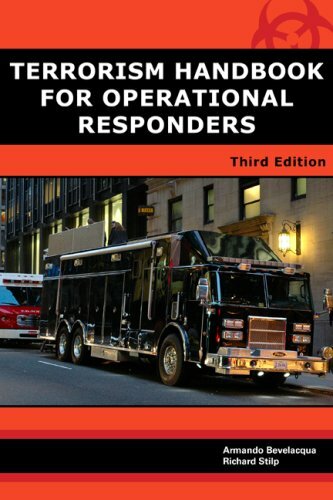 He also provides the readers of the paperback edition of this book with a new introductory essay that ties the events of the 9/11 terrorist attacks into the main themes of the book. 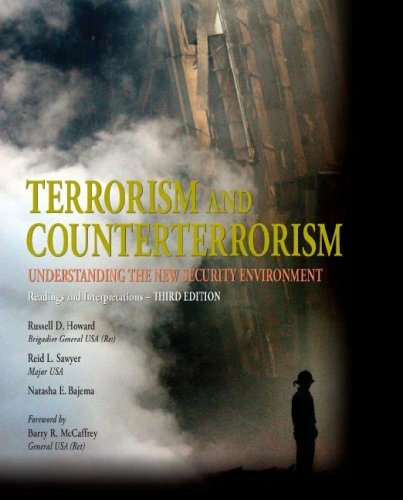 The book provides a useful basis for any discussion on the nature of terrorism and counter terrorism. It is also a book is filled with interesting observations and comments. For example, anyone who has read Ron Suskind's book, "The One Per Cent Doctrine" undoubtedly remembers Vice President Cheney's comment to George Tenet that, "If there's a one per cent chance that Pakistani scientists are helping al Qaeda to build or develop a nuclear weapon, we have treat it as a certainty in terms of our response." This book which was published well before the Suskind book, provides the reader with the same concept after someone, presumably Tenet, translated it into bureaucratese "...the potentialconsequences of CBRN weapons getting into the hands of terrorist groups are so severe that the possibility must be countered no matter how low the probability." Of course this book, like so many written by former government officials is self serving. Pillar probably was forced out as the Deputy Chief of the Counter Terrorism Center (CTC) of the CIA, but the reasons for this are unclear. In any event he spends a good deal of the book justifying the work of CIA and providing what has become the standard Government Official response to critics of the Agency by claiming that: the problems raised by the critics are bogus and show a misunderstanding of how the agency operates and besides which action has already been taken internally to correct them. Nonetheless the book is worth reading and contributes to our understanding of the phenomena of terrorism. Experts in the field of Terrorism have this work on their reference book shelf. Mr. Pillar makes many very interesting and well-balanced points in writing this book.His suggestions are quite well founded and realistic. Everyone, at some time or another, looks for a magic wand, for that perfect solution to a problem. In the last few years, since the end of the cold war and of our comfortable belief that conflict was something that happened between two superpowers, by proxy in far, distant lands, we have had to wake up to the reality of a transnational insurgency that has the power to affect us wherever we are, be it in a commercial building in New York, a hotel in Jakarta, a train station in Madrid or a bus in London. Since Francis Fukuyama's optimistic "The end of history" (as premature a title as ever has been written), a number of books have been published that analyze small wars, as these are now at the forefront of the news. Reading these books one hopes to find an answer to the new phenomenon of an apparently religiously driven discontent that is spanning two continents (Africa and Asia) and has actively engaged proponents in another two (America and Europe). Bard O'Neill's "Insurgency and Terrorism", published by Potomac Books in 2005, is a well-written analysis of how and why insurgencies develop. Does it give readers an immediate understanding of how to deal with the Al Qaeda's new threat of an international Islamic insurgency? Does it give us the magic wand we are seeking in a flash of inspiration? Unfortunately no. But the problem is that there are no easy solutions to the incidents of terrorism we are facing today. It is disingenuous and fallacious of Governments to propose and believe in easy solutions to this problem, as "Mission Accomplished" all to painfully has shown. It does however pay to analyze carefully the situation we are dealing with in it proper (and several) contexts. And this O'Neill does reasonably well. Insurgencies have been fought against invading armies, or against unpopular regimes that use established armies to impose their governance. In the first seven chapters of the book, O'Neill offers a structured analysis of the socio-economical motivations for insurgencies, the environments in they are fought and the strategies used to fight them, the importance of gaining and using popular support (through conviction, propaganda and coercion) as well as manipulating external support (outside the areas directly affected by conflict), and the organization and hierarchy of an insurgent operation. Through this structured categorization O'Neill examines how insurgencies develop and succeed. Also through this analysis we discover how different Al Qaeda's operations are today from past guerilla engagements. *	Pay fairly for what you buy. *	Return everything you borrow. *	Pay for anything you damage. *	Do not hit or swear at people. *	Do not damage crops. *	Do not take liberties with women. *	Do not ill-treat captives. How different from the tactics being used by Al Qaeda today! Particularly the last two points! Mao led what arguably must be history's most successful insurgency and his tactics and strategies were successfully used in another war that began as an insurrection: the conflict that Vo Nguyen Giap conducted first against the French and then against the Americans. However Al Qaeda's protracted war doesn't seem to be modeled on any previous engagement. Indeed O'Neill doesn't specify any example in history on which the Al Qaeda led insurgency is based. But it is in evaluating historical context that the book is quite weak. The approach O'Neill takes is structural rather than historical. He defines categories, and then finds insurgencies that fit them. The historical background of each insurgency is barely sketched out in most cases. And this leads to some omissions. For instance, there are references to the 1948-1960 Malayan Emergency throughout the text. But the context within which the British were eventually successful has been completely ignored: Gerald Templer's plan to set the country on the path to Independence, thereby voiding the political appeal of the insurgents, is not mentioned. Indeed neither there is a mention of Templer himself, who arguably was the architect of the most successful counterinsurgency effort ever staged by Britain. Of even more relevance today, and even though Afghanistan is mentioned throughout the book, no reference is made to the failed colonizing efforts made by the British in three disastrous wars conducted by them against Pashtun warriors, whose descendants also routed the Russians, and, in spite of all the recent American, Coalition and NATO efforts, are still causing seemingly endless trouble today. One might reasonably assume that a more detailed analysis of these two events would have been useful in the final chapter in which O'Neill evaluates possible Government responses to the threats presented by insurgencies. A far more detailed historical perspective of insurgencies, beginning with how the Romans fought successfully against insurgents in the lands they conquered, can be found in Walter Laqueur's "Guerrilla Warfare" published by transaction in 1998. Even though the historical contexts of the various insurgencies O'Neill describes aren't presented as thoroughly as one might expect, the structured categorization of insurgents' operations allows the author to define a number of possible counterinsurgency strategies in the final chapter of the book. It is in this chapter that we find out that there are no easy solutions to be expected. Indeed a single definition of "victory" is not given. O'Neill observes that one of the most important factors in the success of a response is to be able to anticipate insurgents' plans and counter them effectively. However anticipation can only come from an administration that has a clear understanding of the opposing forces' strategies, tactics and goals. Without a clear comprehension of these, responses can be misdirected at best or play directly in to the goals of the insurgents at worse. In limited, national engagements, insurgent forces' strategies can be understood, but historically there has been a steep learning curve Government have had to face, and the learning has been (and obviously still is) faulty. This learning curve is much steeper for insurgencies that span beyond a single country's borders, as international cooperation is needed in the fight against them, and politics provide a huge barrier against this. In conclusion, the book gives the reader some very good insights on how recent past insurgencies have developed and been handled. In today's context what the book misses out on is a strong thread that might give more specific insights in to how we might tackle the problem of a transnational insurgency that is driven through the very modern tools of communication (such as the Internet) by a group of people whose ideals are very firmly rooted in the medieval past. This lack of a thread is probably due to the fact that O'Neill wrote the first edition of the book in 1990, well before the rise of Islamic extremism. In keeping with the original structure of the book, the second revision shows that the Al Qaeda revolution is in a category of its own.It become implicit that we will need to develop new tools to fight it, and not much of our previous knowledge and experience on insurgencies can be called upon successfully. This book give types of Insurgencies that history has show us and the definitions that make them different to each other. As I wrote above, I read the first edition, so I don't know if the ideas that I'm going to write about are been included or not. The first one is about the "Legal Warfare" that was developed by the Insurgencies in Colombia and Argentina. It consists in accused soldiers of violations of human's rights. On almost every occasion they were false accusations. Therefore, they were judged and condemned by the civil authorities. However, nobody accused the terrorists of human right violations. The last one is about the insurgency that is developed from a defeated army. This is the case of what Col Volckmann said in his book "We remained" about the resistance in Philippines in World War II. In conclusion, the book is brilliantly written and is very useful to understand and defeat insurgencies. Terrorism and Insurgency by Bard E. O'Neill, is an invaluable resource for those interested in understanding insurgency and the relevant factors that lead to its success or failure. This book appears to be written for a classroom audience (the author in fact provides a proposed semester-length class schedule complete with lesson plans and assigned reading).However, O'Neill also has government analysts and policy makers in mind.Throughout the book, and especially in chapters covering government response and the conclusion, he stresses the value of providing as complete a picture as possible while keeping in mind objectivity and maintaining an unbiased approach to analysis. 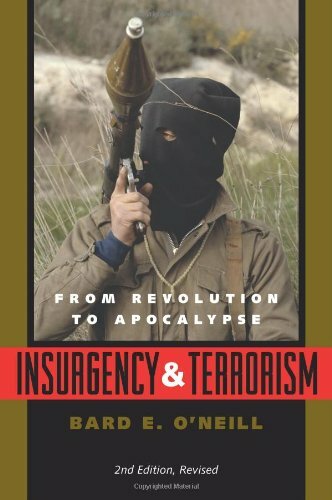 O'Neill begins his book by looking at insurgencies and the related fields of terrorism and guerilla warfare.His framework for analysis includes understanding the nature of the insurgency, insurgent strategies, both political and military, understanding the physical as well as human environment, organization, and the role of external support. In the final chapter, O'Neill lays out a comprehensive lense through which a government analyst could view its adversary and policy makers can create successful counterinsurgency operations.Urging the avoidance of polemics and shortsightedness, O'Neill provides a credible and realistic lense through which to create effective countermeasures. O'Neill helps to settle many unhelpful arguments and issues for analysts.For example, he rejects the false dichotomy of freedom fighter versus terrorist, as one deals with ends (freedom fighter) and one is a means to get their (terrorism).As such, a freedom fighter can use terrorist tactics to achieve his ends. Also, a driving factor that many insurgencies use to determine their strategies are the physical and human environment around them and the perceived and real government response.Understanding this is invaluable both for insurgents and counterinsurgency operations. The ideology, or political campaign, the insurgent group promotes, serves the valuable function of differentiating friend from foe.Providing an alternative to this ideology is integral to separating insurgents from the majority population (assuming the insurgents are a minority). Many insurgencies survive through external support from other states or insurgent groups.One method students and analysts can use to find weaknesses to exploit is by knowing which insurgent groups do and do not receive external support and the motives for the disparity. Finally, many responses to insurgency fail because of inflexibility, sloppiness, ignorance, bias, anger, bureaucratic imperative or psychological aversion.These failings create often flawed and fatally mistaken counterinsurgency strategies.Avoiding this should be of primary concern. This is an excellent book. The author is a well known and respected expert of the field. The book begins with an introduction that attempts to level set and baseline definitions and meanings. Although this may appear to be semantics, the differences both subtle and great is important. The book is well organized it is easy to refer to a specific chapter or section in the event you need a quick refresher and or reference. The book is well written, concise and offers a large quantity of foot notes at the end of each chapter. This book is for both the expert and the novice. Terrorists and terrorism have become a major force internationally. Hostage-taking and other acts of violence for political ends are common all over the globe. This groundbreaking study sheds new light on the phenomenon of terrorism. This book examines and explains the nature and sources of terrorists' beliefs, actions, goals, worldviews, and states of mind. Origins of Terrorism addresses, with scholarly responsibility as well as necessary urgency, one of the most vexing intellectual and political challenges of our time. 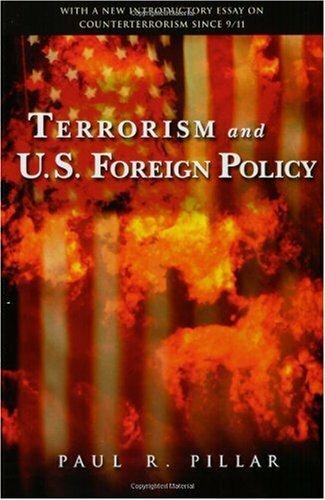 This book was written before the huge surge in interest in terrorism in the United States brought on by 9/11. Since so much has been written since 1998, to read this book alone would leave the reader a bit behind the times on the subject. Nevertheless, I would recommend anyone interested in the topic starting here. The parts dealing with the psychology of terror are quite relevant - how do terrorists justify to themselves what they do and how can engaging in terrorist acts alter the views of those who commit them? How do the defenders of terrorism in the name of religion get around prohibitions on suicide? If ever there were a vivid description of rationalization, you'll find it in the account of the views of a Lebanese cleric that adapt to the level of enthusiasm of the public, the judgments of peersand the effectiveness of terror. Success can do much to muffle opposition just as in conventional warfare techniques that were formerly abhorred can find favor if they prove useful. Who would have thought the President of the United States would scarcely hide his approval of torture (while denying it, of course). You'll find a good historical summary of the Weathermen in the United States, the Bader/Meinhof Gang in Germany and the IRA in Northern Ireland providing evidence of how terror acts on the population in general as well as those who plan and carry out the acts. Did terror do what it is hoped that it would do? The book is not a difficult read but it is not a casual read either. You'll need to concentrate to follow the points of the several authors and keep their ideas in mind as you move from one to the next. If you do, you'll find broad coverage that approaches the subject from many angles and reaches back in time to the first century AD. I'm keeping my copy as a good reference on the subject. Great price for a brand new book that was going for $40 used through the school bookstore. 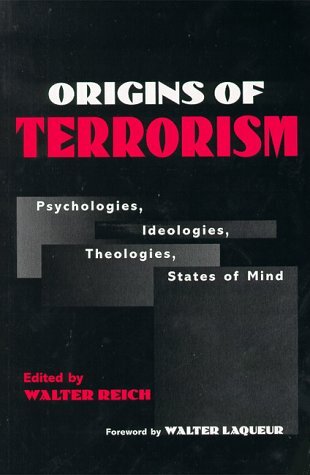 Origins of Terrorism attempts to both be balanced and discuss the psychologies of terrorists.The chapter by Martha Crenshaw (I recommend reading her book on terrorism rather than just the chapter) presents the opposing view to the chapter by Post.While interesting, the psychology advanced is mostly the "crazy terrorist" psychology.I didn't get much out of the book, except for the first two chapters and chapter 10.Chapter 10, which discusses terrorist motivations, is incredibly useful.The rest of the book is average but unremarkable. This book attempts to account for the root causes of terrorism. However it fails to provide a meticulous analysis of the origins of terrorism. For example, consider the author's analysis of islamic fanaticism. According to Reich, muslim terrorists, driven by an ardent religious conviction, target western modernism as they despise the Western way of life. In support of his assertion, Reich uses quotes from the Quaran which have been taken out of their proper context. Anyone even vaguely familiar with Islam knows that Islam teaches piety, tolerance, empathy and equality before God (please check the Quaran for corroboration of this). Moreover murder is justifiable only in self-defense. Subsequently, claiming that Islamic fundamentalism emerged as a result of an extreme interpretation of the Quaran is preposterous. The author further asserts that Hezbollah uses religion as a justification for its abhorrent atrocities. Trying to explain the underlying motives of Hezbollah's ideology without even taking into account the 22-years long Israeli occupation of southern Lebanon is indicative of poor scholaship and gross oversimplification. In my view it was the Israeli invasion of Lebanon which triggered the emergence of these resistance groups. The real causes of terrorism are Western imperialism, gross economic inequalities, oppression, abject poverty, Western exploitation of the Middle East's enormous oil fields, imposition of Western values and US capitalism, US constant interventions and support for oppressive governments like Saudi-Arabia, Israel etc. These are the root causes and unless we acknowledge them it will be extremely difficult to obliterate terrorism. It is like treating a patient but having a wrong diagnosis. Another disadvantage of this book is the fact that it almost exclusively focuses on Islamic fundamentalism; no account of Jewish and Christian terrorism is given. This seriously undermines the book's purpose and makes it biased. This book does however provide a thorough account of psychological factors which contribute to the rise of terrorism but these are merely of secondary importance. Interesting read but lacks a detailed analysis. This informative book covers all aspects of terrorism - the warped psyches driving the murderous events, historical setting, goals, leaders and particularly the religious, ethnic and ideological forces behind terrorism.While 99.99% of all world terrorism has its roots in the Middle East, it has become a worldwide phenomenon. Even more important than the barbarous acts, though, is the development of a framework within which one both justifies and excuses terrorism.Never before has the claim been made that it is morally permissible to kill innocent men, women and children for any reason.Never before have there been so many willing not only to forgive but also to forget these deeds done in the name of an esoteric idea. - and get support from -totalitarian regimes. Mainly due to the identification with the USSR and its support for Arab causes, the Left has moved steadily into an anti-Israeli/Jewish pro-Arab/Palestinian stand. One can trace both the physical evolution of Palestinian terror groups (unorganized local groups to world network) and ideological evolution (from local issues to global terrorist concerns). This is most evident in Europe, especially France and Germany. The twoshare a dubious honor:France is the intellectual home of modern anti-Semitism and Germany is where the logical fruition of these "ideas" was practiced. Americans in the twenty-first century are keenly aware of the many forms of terrorism: hijackings, biological attacks, chemical weapons. But the deadliest form is almost too scary to think about-a terrorist group exploding a nuclear device in an American city. In this urgent call to action, Graham Allison, one of America's leading experts on nuclear weapons and national security, presents the evidence for two provocative, compelling conclusions. First, if policy makers in Washington keep doing what they are currently doing about the threat, a nuclear terrorist attack on America is inevitable. Second, the surprising and largely unrecognized good news is that nuclear terrorism is, in fact, preventable. In these pages, Allison offers an ambitious but feasible blueprint for eliminating the possibility of nuclear terrorist attacks, if we are willing to face the issue squarely. By concentrating on the key vulnerabilities, Mr. Graham does a wonderful job of framing a difficult issue, which has largely been considered "unthinkable" and ignored by policymakers. Though his solutions are creative and some plausible, he explains away their implementation.He also ignores nation states in the process of developing nuclear capabilities, such as Iran, which represent some of the biggest concerns.But overall, an very well-written and interesting book.I would highly recommend. 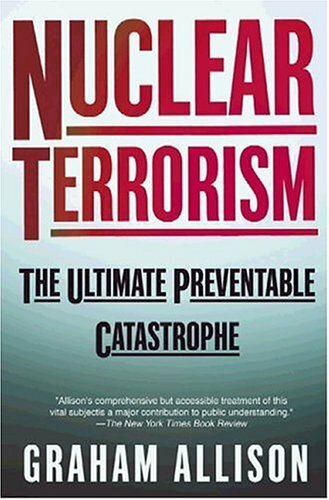 Graham Allison's nuclear terrorism prevention strategy is a perceptive and tough look at a nagging problem of grave national importance. It's perhaps the best strategy possible given America's current structure. Allison warns that if terrorists get weapons of mass destruction, then the game is over because these weapons will probably be used against us, and therefore a rigorous strategy of locking down weapons worldwide is sensible. Allison fails to explain how the United States can act as the world's nuclear policeman. His book is loaded with practical suggestions like using financial incentives in nations like Russia to encourage foreign officials to lock up or destroy excess weapons, giving money to non-nuclear states to produce less dangerous plutonium and uranium, having a more humble foreign policy, improving intelligence, strengthening global alliances, and so on. But there's a sense that even if all of these suggestions were followed to the letter, the United States would remain vulnerable. I recommend an alternative approach which requires extensive political reform but which I claim does, in fact, prevent serious terrorism; but in the meantime, Allison's method is probably the best inside-the-box terrorism prevention strategy that exists. Nuclear terrorism, according to Warren Buffet, who should be adept in evaluating the probability of future events. He goes on to say, "It will happen. It's inevitable. I don't see any way that it won't happen". And yet the subtitle of is book is "The Ultimate Preventable Catastrophe". The author is not a pessimist. He writes, "The central but largely unrecognized truth is that nuclear terrorism is preventable. As a simple matter of physics, without fissile material, there can be no nuclear explosion. There is a vast, but not unlimited, amount of highly enriched uranium and weapons-grade plutonium in the world, and it is within our power to keep it secure. The United States does not lose gold from Fort Knox, nor Russia treasures from the Kremlin Armory. Thus all that the United States and its allies have to do to prevent nuclear terrorism is to prevent terrorists from acquiring a weapon or nuclear material. The `all' required calls for a substantial, sustained, but nonetheless finite undertaking that can be accomplished by a finite effort. It is a challenge to our will, our conviction, and our courage, but not to our technical capacity". *	Numerous terrorist groups have the motive and capacity to seek out nuclear weapons. *	These weapons exceed anything else in terms of deadly effect and terror producing potential. *	Nuclear material and weapons are poorly guarded in the former Soviet Union and developing world. *	Nuclear proliferators such as Pakistan exacerbate the situation. *	An actual weapon is easy to put together once the fissile material has been obtained. *	There are many relatively straightforward delivery methods and routes for such a weapon. Taking all this together, Buffet is right and nuclear terrorism seems indeed inevitable. In the second part of the book the author presents his approach to dealing with the threat. His objective is "A World of Three No's" - no loose nukes, no new nascent nukes, and no new nuclear weapons states. *	Constructing a multilayered defense. While this all seems reasonable enough, I couldn't help coming away with the sense that while clearly necessary, these actions are not in and of themselves sufficient to address the immensity of the risk. And even if they were, there is a question as to how they are to be accomplished. For example, the author calls for a stop to the new national production of fissile material "beginning with Iran". What's left out is how. Anyway, this is a good, if sobering book. It should be required reading for whoever the new occupant of the White House will be. During the Cold War from the 1950s until the fall of the Berlin Wall and the Soviet Union, we faced adversaries (including China) that could with impunity launch ICBMs and airborne bomber fleets.In response we spent billions building radars to attribute the nuclear attack to the country which launched the ICBMs and bombers. The strategy was called deterrence.Mutually Assured Destruction. MAD. Today we need to employ the same strategy of Attribution and Deterrence against our new nuclear armed adversaries. The delivery system they are selecting will not necessarily be limited to ICMBs and bomber fleets. It will included weaponized civilian transportation systems.Airplanes and sea containers. 9/11 was a sample of a scary future. Let's build a nuclear sensor network. Attribution and Deterrence worked once. It can and will work again. 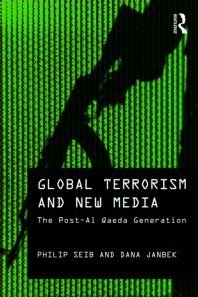 Global Terrorism and New Media carefully examines the content of terrorist websites and extremist television programming to provide a comprehensive look at how terrorist groups use new media today. Based partly on a content analysis of discussion boards and forums, the authors share their findings on how terrorism 1.0 is migrating to 2.0 where the interactive nature of new media is used to build virtual organization and community. Although the creative use of social networking tools such as Facebook may advance the reach of terrorist groups, the impact of their use of new media remains uncertain. The book pays particular attention to terrorist media efforts directed at women and children, which are evidence of the long-term strategy that some terrorist organizations have adopted, and the relationship between terrorists’ media presence and actual terrorist activity. This volume also looks at the future of terrorism online and analyzes lessons learned from counterterrorism strategies. This book will be of much interest to students of terrorism studies, media and communication studies, security studies and political science. Terrorism in the Twenty-First Century helps readers understand terrorism, responses to it, and current trends that affect the future of this phenomenon. 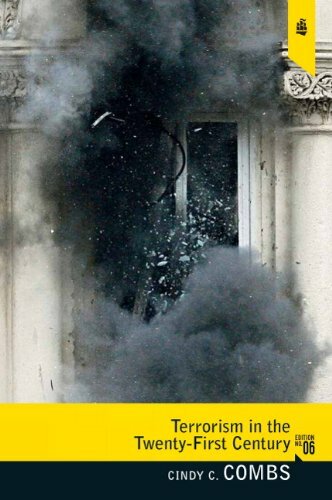 Putting terrorism into historical perspective and analyzing it as a form of political violence, this text presents the most essential concepts, the latest data, and numerous case studies to promote effective analysis of terrorist acts. Terrorism in the Twenty-First Century objectively breaks down the who-what-why-how of terrorism, giving readers a way both to understand patterns of behavior and to more critically evaluate forthcoming patterns. Doesn't do justice to its title. Cynthia Comb's book ought to have focussed much more on contemporary terrorism instead of those that prevailed in the 1970s and 1980s. While this book is useful to get an insight into the dynamics of terrorism, modern terrorism is qualitatively different in that it is far more organized with a global network. If one has to gain a theoretical understanding on the subject then the section on terrorism in my book, 'Tracing the Eagle's Orbit' could be worth trying. Yet, Dr. Comb has written a very interesting and thought provoking book and that alone counts. This is more so, if one admits the size of the book in view of a rapidly proliferating topic. This is a good overall introduction to terrorism for those with no knowledge of the subject, and it is composed in an organized fashion without the use of complicated jargon. In short, it's a condensed textbook on terrorism, but not nearlyin-depth enough to get into the nitty-gritty issues or trends. I am a prior student of Cindy Combs and have studied terrorism for over 5 years. I own both a copy of the 3rd and 4th edidtions and can say without a doubt the book provides an excellent introduction to the study of terrorism. I have read reviews concerning the book and must say that the information is outdated, but it is meant as a guideline. The book is best used in conjunction with the Encyclopedia of Terrorism and the Terrorism Readers (aka governement reports on activity and News articles concerning recent actions). The book is a thorough review of the differnet aspects of terrorism, and as such it fits as an undergraduate textbook on the subject. Combs reviews the history of terrorism, different types of terrorism, and how people and governmnets dealt with this phenomenon during the years. The book is written is a clear and communicative style, and each chapter ends with several issues for indepth thinking and discussion. The relatively small size of the book, the clarity and exhaustiveness of its coverage of terrorism make it attractive to a busy student who wishes to learn about terrorism but has very little time to spend on such study. I truely think the book merits 5 point especially compared to other material written on this subject these days. 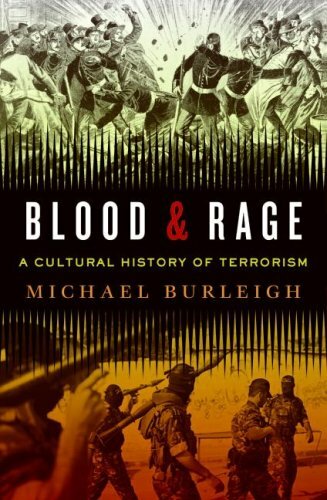 Blood and Rage is a sweeping and deeply penetrating work of history that explores the nature of terrorism from its origins in the West to today's global threat fueled by fundamentalists. Distinguished historian Michael Burleigh ("There are few better writers at work today" —The Sunday Times) emphasizes the lethal resentments and the twisted morality that spawn terrorism rather than the ideological or religious justification that routinely accompanies it. He reveals who the terrorist groups are, how they organize and operate, what motivates their violence, and how wider support encourages them. Burleigh takes us from the roots of terrorism in the Irish Republican Brotherhood, the Russian Nihilists, and the London-based anarchists of Black International to the various terrorist campaigns that exist today. He also explores the lives of people engaged in careers of political violence and those who are most affected by terrorism. Burleigh argues persuasively that history enables us to see how terrorism can be effectively contained and countered by avoiding the major mistakes of the past and by exploiting weaknesses within terrorist organizations. The problems in today's world, as well—especially the chaos inflicted by terrorism in Iraq and Afghanistan—reflect the tragic, disastrous, and far-reaching consequences of this long war. Authoritative, illuminating, and masterfully written, Blood and Rage sheds an unflinching light on the global threat that we are likely to face for decades to come. Michael Burleigh seems incapable of writing a mediocre book, much less a bad one. With this his examination of modern terrorism since middle XIX century is a wisely mixed exercise of enormous scholarly research and -not always an scholarly feature-deep penetrating intelligence. The reader gets a clear picture of this kind of disease as something coming, at last, from distorted social and cultural conditions in the middle of an atmosphere of suffocating lack of institutional alternatives, so there is no way to givean adequate expression to complains and the paths of sane development for new generations are kept closed. From this insane pot a first intent for violence as an illusory remedy of all that comes, next the fast development of sheer terrorism as almost a way of living with his unpleasant gallery of characters, blood lust, rage andbrutality. I enjoyed this book. It was all the better for not making theories, or grand strategies, bit for its straightforward description of people and events. It shows that the people involved in terrorism are dangerous, usually on a basis of criminality or inadequacy. Giving a criminal a "noble cause" or a "lifelong fight" gives him or her a plausible (but utterly false) reason for acts that are utterly despicable on the basis that they can do no good, make no relationships, and can only cause harm, destruction and alienation. Historical or current grudges are a fertile soil for terrorism, but not a justification for it- because the means invalidates any end it might claim to want to achieve. That terrorism can only cause harm is one of the main messages of this book. Terrorists need to personify their enemies as different, undesirable and other from them. The truth is we are all human, and we all bleed like each other. Burleigh's point that all terrorist victims are people merely wanting to go about their daily business and relate well to other people is well made. The ability of states to contort their best values (freedom of speech, liberty of assembly, tolerance for others of different backgrounds or opinions) to accommodate terrorists is well described. The role of some lawyers in achieving this is well described. Law, and the uses to which it is used, and to which it is not enforced tell us a lot about the values in our societies. In the UK our libel laws, "Londonistan", and our reluctance to deport certain people are our contributions to enabling terrorism. This book is powerful, and useful reading. We are all potentially terrorist targets, as we are all "decadent" in some way or other. This book should encourage us that terrorism is a problem that is ultimately sortable, and exposes well the emptiness of purported justifications of it. I can recommend it to others. It is soon clear that there is nothing new in our current preoccupation with bombings, even suicide bombings, and acts of political or religious terror. Burleigh starts with the Irish Fenians of the 19th century (bomb factories, innocent deaths, deaths of bombers, pre-emptive arrests and "hard" questioning by the authorities - it was all there in the past too ) then progresses (regresses?) through Russian bombers, anarchists onto the 20th century terrorist groups: Israeli, Palestinian, Irish, Basque, the European Red Brigades. The final (largest) section encompasses contemporary Islamist terror groups. Some is done well. Burleigh is best on the more focused sections where he can follow a linear history: Fenians, Basques & Israeli terrorism as well as the final section on contemporary Islamist terror movements. Elsewhere (anarchism especially) exposition is at times over complex and confusing. I felt even a timeline would cope better with the huge amount of chronology and undeveloped personalities and events offered. Perhaps its scope is over ambitious. It may have been better to break it down into a couple of volumes (and so also include the latin American movements of the 1970's: tightly linked in many ways to the Red Brigades/RAF but a curious and large omission, even if admitted to by the author in the introduction). At its best this a very good survey despite being openly opinionated, (increasingly so as chapters near the present). It could also do without the authors own explicit "solutions" at the end - many of these are certainly valid but are largely implicitly clear to the perceptive reader and do not require reinforcement. Perhaps more for research and dipping into rather than reading from cover to cover,this remains a valid and accessible addition to the topic. I don't know if it's appropriate to use the word "fan" when referring to a historian.But, to heck with it....I'm a huge fan of Michael Burleigh.I consider him to be among the best of the current crop of historians; indeed, among the best ever.In addition to being phenomenally intelligent and witty, he's an outstanding scholar and writer.He's also a very astute analyst of the underlying causes of Western Civilization's collapse.I'm always enlightened and riveted when reading him, and I was equally so when reading "Blood and Rage".You cannot and will not read a more incisive and comprehensive book on the subject of terrorists.Burleigh brings it home how extraordinarily vile terrorists are; how they at least disrupt and often wreck the lives of the innocent.Strip away all their bombastic claptrap and the reason is always the same -- the most bestial bloodlust.Terrorists are thugs -- no more, no less. That being said, Burleigh is a bit too comprehensive in this case; there's just too much detail.With all due respect to Burleigh, I'm just not crazy about the everything-you-always-wanted-to-know-about-[insert topic here]....And-then-some approach. Still, Burleigh is always worth reading, and that's one rule sans exception. To understand the psychology of those who engage in terrorism, John Horgan draws on interviews with terrorists and analyzes current evidence to argue that only by asking the right questions about this complex problem, and by answering them with evidence, can we truly begin to understand the nature of terrorism and respond effectively. Consequently this book presents a critical analysis of our existing knowledge and understanding of terrorist psychology, and in doing so, highlights the substantial shortcomings and limitations of the nature and direction of current research. This new volume presents a unique model of involvement and engagement in terrorism by considering it as a process and exploring three distinct phases of the making of a terrorist: becoming involved, remaining involved (or 'being' a terrorist), and leaving terrorism behind. Despite the ongoing search for a terrorist personality, the most insightful and evidence-based research to date not only illustrates the lack of any identifiable psychopathology in terrorists, but demonstrates how frighteningly 'normal' and unremarkable in psychological terms are those who engage in terrorist activity. By producing a clearer picture of the complex processes that impinge upon the individual terrorist, a different type of terrorist psychology emerges, one which has controversial implications for efforts at countering terrorism in today's world. The book concludes with what this new psychology of terrorism means for understanding the terrorist and highlights what both researchers and the broader community can do to realistically engage the terrorist threat. This is a solid piece of research and will provide insights to any student of terrorism. 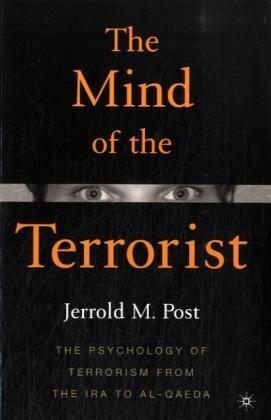 The author bases most of his research on scores of interviews with actual terrorists (the IRA, in particular) and this is a must read if you want to challenge much of the "pop psychology" generally applied to the study of terrorist mindsets or attempts at profiling. Psychological View of the Terrorist Personality. How and why does someone become a terrorist? Are there common causes? Is there a terrorist personality? For the first time I've seen, a senior psychologist has approached the concept of terrorism with a view to trying to understand what makes the mind of the terroristwork. Only with a greater understanding of every aspect of terrorism will we be able to work out the techniques that will enable the world to effectively fight it. The author has conducted research that considers terrorism as a process and exploring three distinct phases of the making of a terrorist: becoming involved, remaining involved (or being a terrorist), and then leaving terrorism behind.